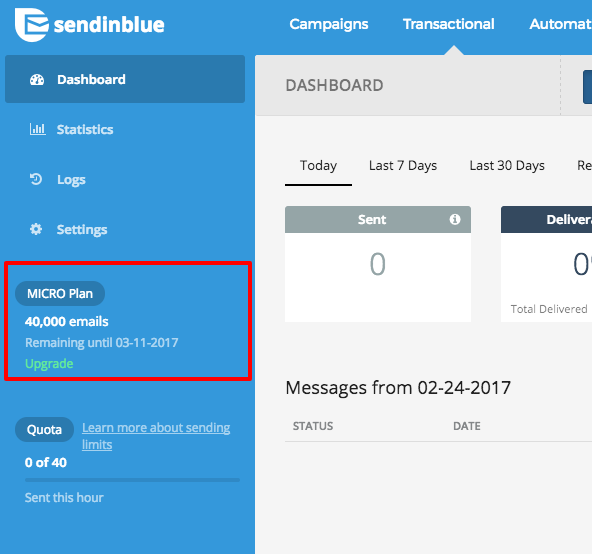 If you see an orange banner like the one below, this means that the SendinBlue SMTP has not been activated for your account. You can contact our customer service contact@sendinblue.com to proceed with the activation. As indicated in this article, SendinBlue applies an hourly sending bandwidth to maintain the sender reputation of new users of shared IPs. Important : this quota does not apply to users with dedicated IP addresses. If all of your email credit has been used, your transactional emails will not be sent. 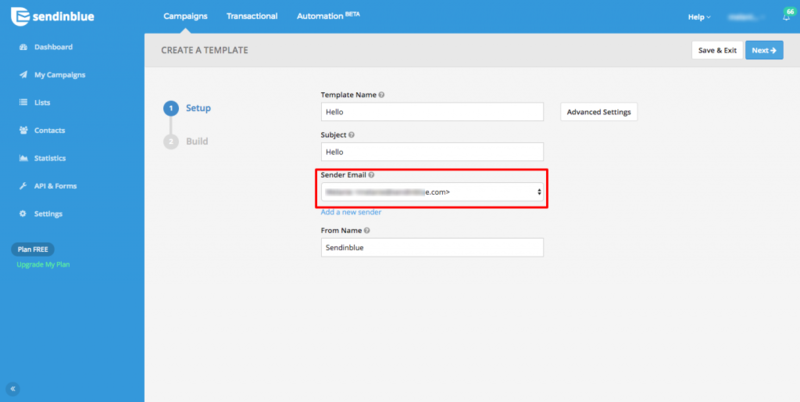 If you have recently bought or configured a dedicated IP, it may be that the templates used for your transactional emails have not been correctly updated and are still configured for your former senders. To check that your templates have been configured with the correct sender, go to SMTP templates on the marketing platform and edit the relevant templates. To check that your dedicated IP has been correctly configured for the SMTP go to the Dedicated IP page and click on "Manage". If you can see the option "Use this IP for transactional emails", then it has not been associated with transactional emails. Just click on "Use this IP for transactional emails" to associate it.